A reminder that the application deadline is coming up for 2018 Urban Forestry Grants! Cities, villages, towns, counties, tribes and 501(c)(3) nonprofit organizations in or conducting their project in Wisconsin are encouraged to apply for a regular or startup 2018 Department of Natural Resources Urban Forestry Grant! The grants range from $1,000 to $25,000, and grant recipients must match each grant dollar for dollar. A startup grant of up to $5,000 is available for communities that want to start or restart a community forestry program. 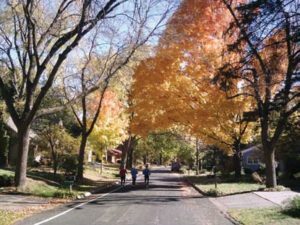 Grants are awarded to projects that align with state and national goals for increasing the urban forest canopy and the benefits it provides. Applications can be submitted starting July 1, 2017 until October 1, 2017. To view the application and apply visit the Urban Forestry Grant’s website. If you have questions regarding application process and eligible projects contact your DNR Urban Forestry Coordinator.